A bit raw, but funny and cute. I like. Post more like it. I swear Sangster is timeless.. beyond having been a child he doesn’t age. 😘Peter Pan come to life, never grows up and he’s British to boot! Super cute! 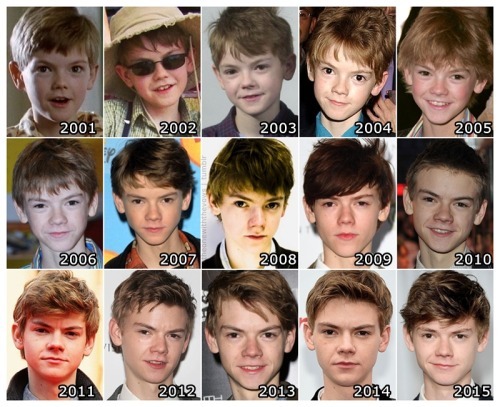 @Kyuuen – True, he is almost 27 now yet his face looks almost as young as when he was 14, when I first watched him in Nanny McPhee. A new Dorian Gray? Tommy really shines in all the movies he plays in, we are not done hearing about him. Eddie Redmayne makes a similar impression on me, they both share the same apparent fragility and timeless beauty. And the freckles! Tommy swings, so why not? I like the post, but it’s comical — neither of their lips move in the speech patterns of what the “balloons” say. :-) They need to work on their graphics skills. But that’s OK, find more like this one. 🤓You’re right they should redo the movie clip just to match the words of the parody gif, it would be so much better! An invitation I just cannot refuse. I truly loved this !